A professional forex trader can only be as good as the tools they have at their disposal. Forex and CFD trading tools come in many different flavors, degrees of complexity, and prices. The best tools are the ones you will use on a consistent basis, are easy to understand, and don’t cost an arm and a leg. Your forex currency converter will likely be one of your most-used trading tools. What Is A Forex Currency Converter? A Forex currency converter is actually a simple tool at its core. It takes a value in one currency and then converts it to the equal value in a second currency. You choose both currencies at the time of inputting the values. For example, you can use it to convert $10US to its equivalent in euros. That is the most basic operation of a currency converter, but most of them have a lot of additional features to help them stand out from the crowd. You’ll have the option of using both online and offline currency converters. Both of them come with their advantages and it’s a good idea to have one of both. Online converters are usually browser-based so there’s no download needed. You just connect to the internet and then visit the website. Several Forex and CFD trading websites and financial websites have free converters available for public use on their site. Online converters are the most accurate. However, not every Forex currency converter will be 100 percent accurate or up-to-date. Some of them use different sources of information to create the conversion. Finding a calculator that is highly accurate could be the difference between a big gain or a small gain for serious traders. Offline converters, on the other hand, are downloaded on to your PC, tablet, or smartphone. Most of them could actually be considered “dual” converters, which means they work offline and online. They use an internet connection to gather the actual conversion rates. You can convert currencies at any time, even when there is no internet connection. 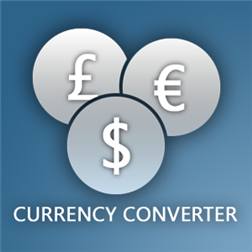 The only problem with using an offline Forex currency converter that’s not connected to the internet is that the conversion rates may not be entirely up-to-date. Prices can fluctuate every second, so if they aren’t updated constantly, then the conversions won’t be 100 percent accurate. They can still be useful when you’re trying to perform some general calculations while you’re away from the internet or out of cell phone service. Since most currency converters are the same at their core, they strive to stand out by adding additional features to their pages. Some sites go too far and add so much information that it’s more confusing than it is helpful. Others include helpful charts, historical data, and future predictions. To find a converter that will help you with Forex or CFD trading, you’ll need to browse around and give them all a peak. There’s no risk since 90 percent of them are completely free. Simply visit the site and see how well it is laid out, what features are included, and whether it is constantly updated. Binary Options vs. Forex? Which One Is For You?